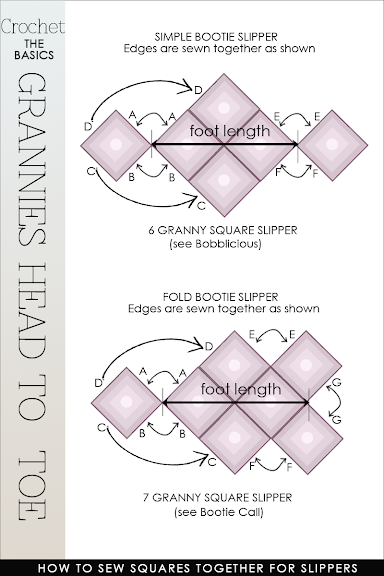 Who doesn't love granny squares?. They make you smile and feel happy. I've loved them forever. 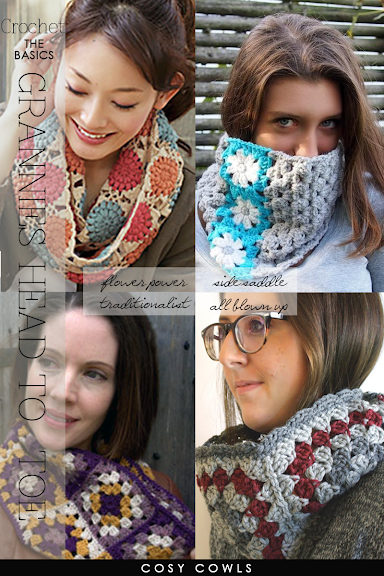 A garment made with granny squares, on the other hand, can be overwhelming for some tastes with a very definite style. My answer to that, "Make accessories!" 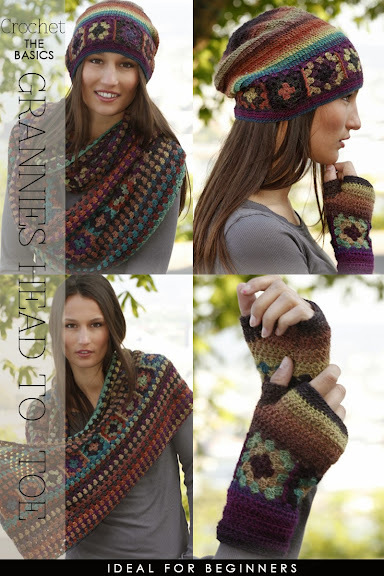 Hats, wrist warmers, scarves and slippers. 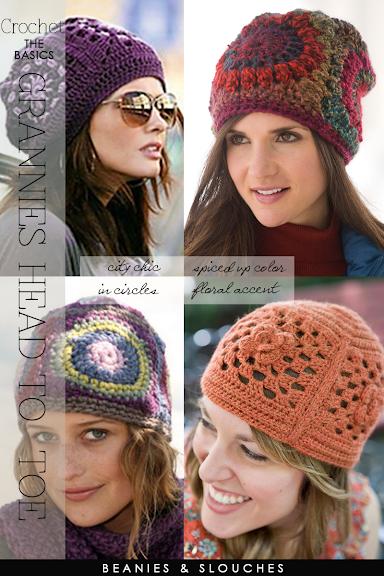 All very useful, quick to crochet and just enough pattern and color. 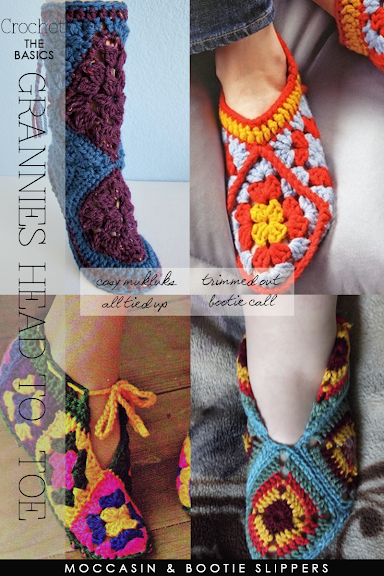 Slippers are a great gift and you can never have enough pairs for people who drop in. I have several pairs of slippers in my foyer, especially during the winter. 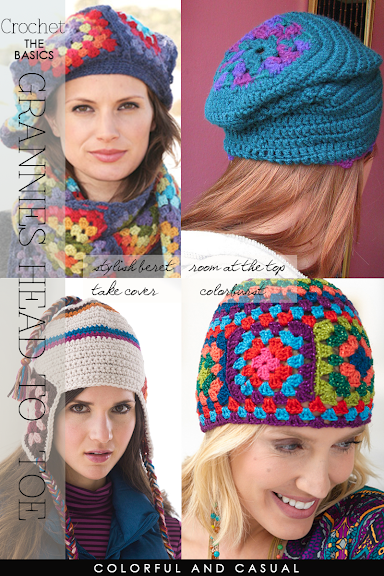 Whether you like it bright and colorful or shades that are subtle, there are plenty of slipper, hat and scarf/cowl pattern ideas for you to try . 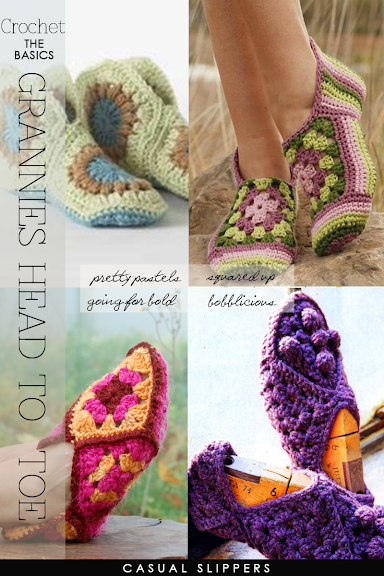 Read further for helpful slipper how-to diagrams, video tutorials and great free patterns for friends and family.